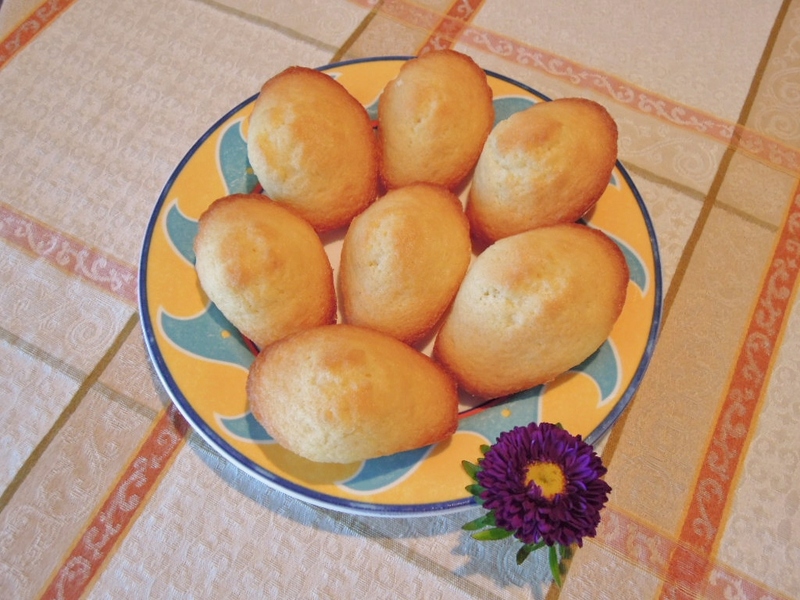 I hope some of you have a sweet tooth because this week’s recipe is a classic “mini cake” in France: The Madeleine. Kids (as well as adults) love them. It’s the perfect little treat to go with coffee/tea after lunch, without feeling guilty (well, if you eat the whole batch, you might feel guilty). What I love about them is not only the taste, but their cute shape. They look like little shells, it’s adorable. For me, baking madeleines brings me as much pleasure as eating them. 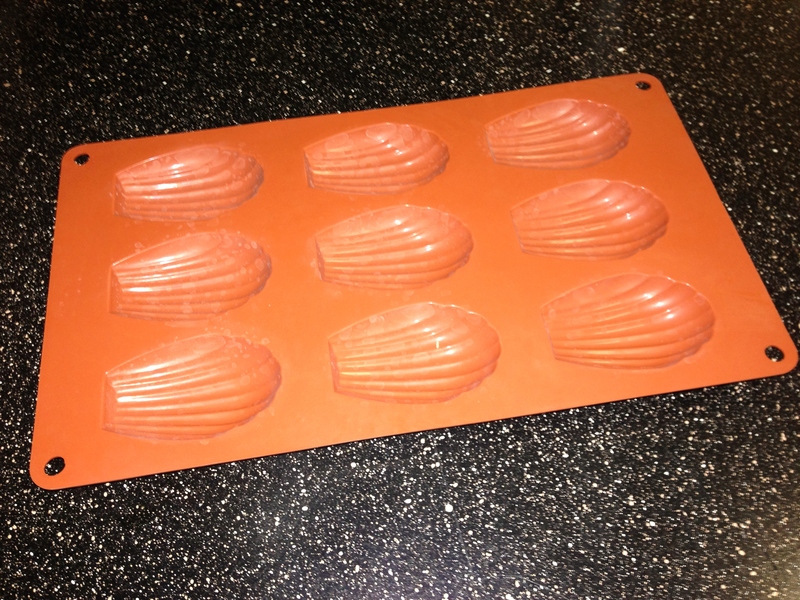 Once the madeleines are in the oven, and the sweet smell floats in my kitchen, it’s like being a kid again, waiting for my 4 o’clock snack with a hot coco. I’m sure all of you have experienced a taste or a smell that just took you back to your childhood. Feel free to comment below to share it with us. For me, it’s my grandmother’s mash potatoes. When the mash potatoes are seasoned just right, it just transports me back to her kitchen. I guess cooking can also serve as time machine! Mix the flour and baking powder in a bowl. In a separate bowl, whip the eggs, add lemon juice and zest. Slowly add the flour, and then add the butter. Mix thoroughly. Put mixture in mold (2/3 of it). Put in the oven for 15 min. Take out from mold right away and let it cool down. Oooh! let’s do have a Madeleine party! Good food and friends! What a treat! I really enjoy reading your blogs. I wish I could make these, but lack the mold. When I arrive back home I will try it out! Thanks Mary, we can have a Madeleine party when you come back! Lucie, I love your posts. This poetry spoke to me because of the simplicity of a Madeleine as with all food takes us to the most touching moments of our lives with those we remember and love. Thank you! Thanks Ruby, I’m glad it spoke to you. Thank you for being the first to read my blog every week!